Do I need to hire a lawyer, or can I just file my own legal papers? Michigan Law does not “require” that you have an attorney to file for divorce, child support or custody. However, the Michigan laws governing family law are are extremely complex. Additionally, there are hundreds of Court Rules that govern the forms, filing & procedures that must be followed in County Courts. So, it is very easy to make a mistake or miss an important step when you represent yourself in a family law matter, leading to very unfavorable results. Since family law matters deal with what is most important to you (your children, your home and your financial security) a great deal can be lost if you make a mistake when representing yourself. Lawyers go to college for many years to learn what laws apply and how to use them to protect their clients. Experienced lawyers also have established relationships with judges and court personnel that enable them to achieve the best results. Investing in an experienced lawyer usually “pays for itself” many times over, by getting you the best settlement in child support, or spousal support, or property division. For example, if you have an 8 year old child and your lawyer gets you $40 more per week in child support, you will obtain an extra $20,800 by the time the child is 18! Can I get “Free Legal Aid” or pro bono services for my family law matter? Free Legal Aid is only available to individuals who are “indigent” (below the poverty level), and there is generally a very long waiting list for free services (often 6 months to a year, or longer). When considering using Legal Aid you should also understand that your case will usually be handled a law student with very little experience. If you are facing a legal matter that can result in life-changing decisions about your children, your home and your financial security only a skilled and experienced lawyer can obtain the best possible results for you. Starla Zehr’s practice is solely devoted to family law. She has handled hundreds of family law cases. · Your lawyer should be very familiar with the judges that are currently handling family cases in your County. Starla Zehr has appeared many times before all of the Oakland County Circuit Court family law judges. · Select a lawyer who will be exclusively handling your case. Make sure he or she will not be “shuffling off” your case to someone else. 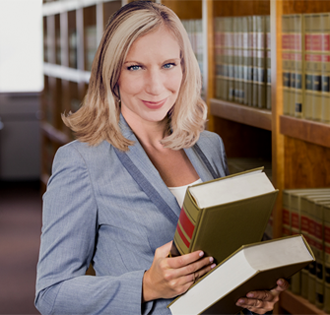 Starla Zehr handles all of her own cases from beginning to end. · Your attorney should have no grievances and no disciplinary actions with the State Bar Association. 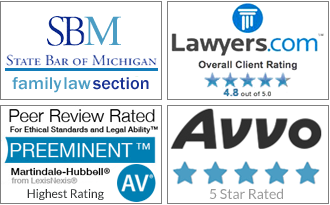 Starla Zehr has a perfect record with the State Bar of Michigan. Starla Zehr is reasonably and fairly priced, to ensure you get qualified counsel and not “cut-rate” service. · Find a lawyer who listens carefully to your concerns & cares about getting the best results for you. Starla Zehr cares deeply about her clients and fights aggressively for their rights.